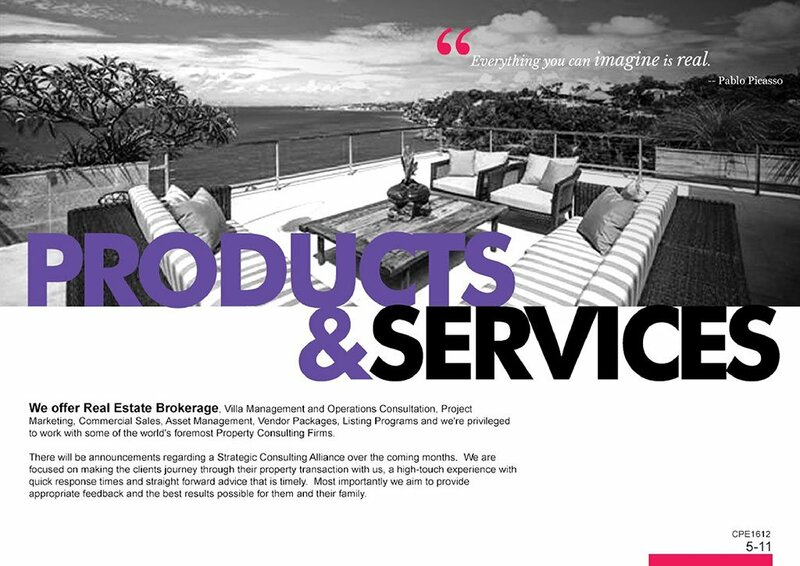 We’re more than just a real estate agency. 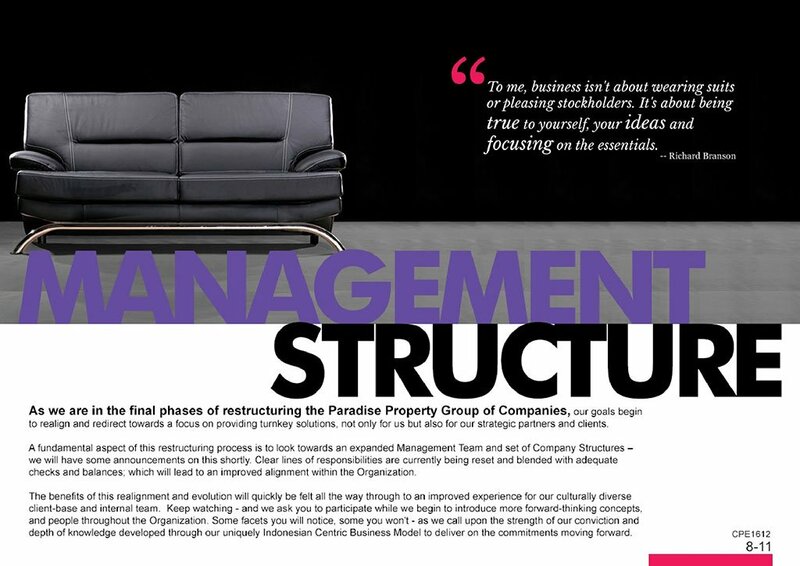 We’re advisors, analysts, consultants, partners and creatives. 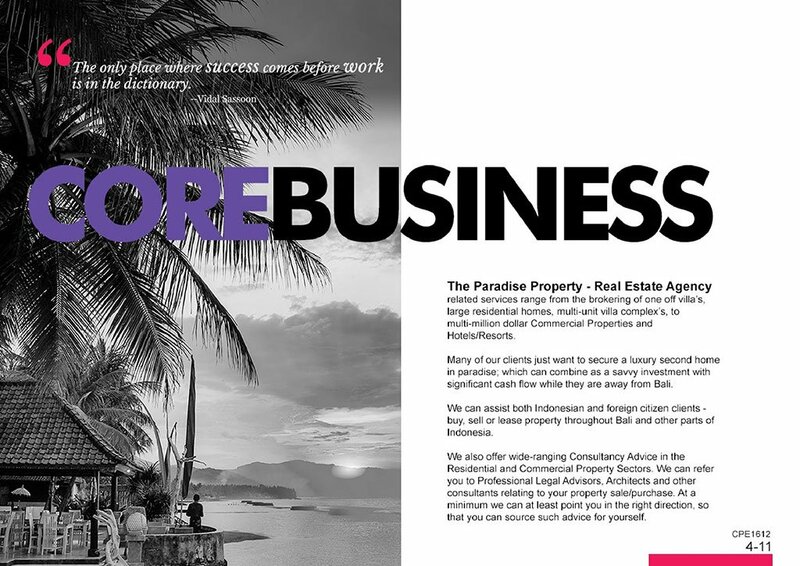 We connect you with quality buyers and sellers so you find the perfect property or land investment in the paradise of Bali and the thousands of tropical islands beyond. 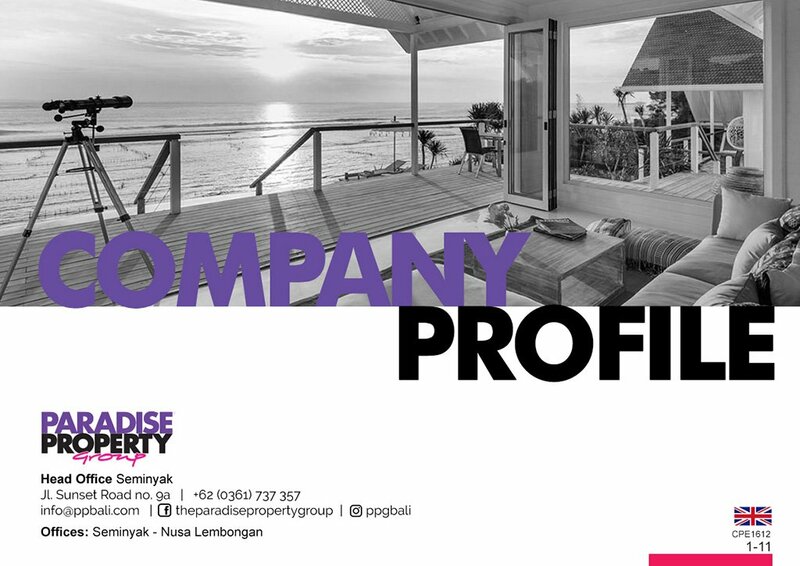 Paradise Property was founded in 2004 by Mark Tuck and within one year had become a leading force in the real estate and property development scene in Bali attracting new listings and developments. Fast forward to 2010. 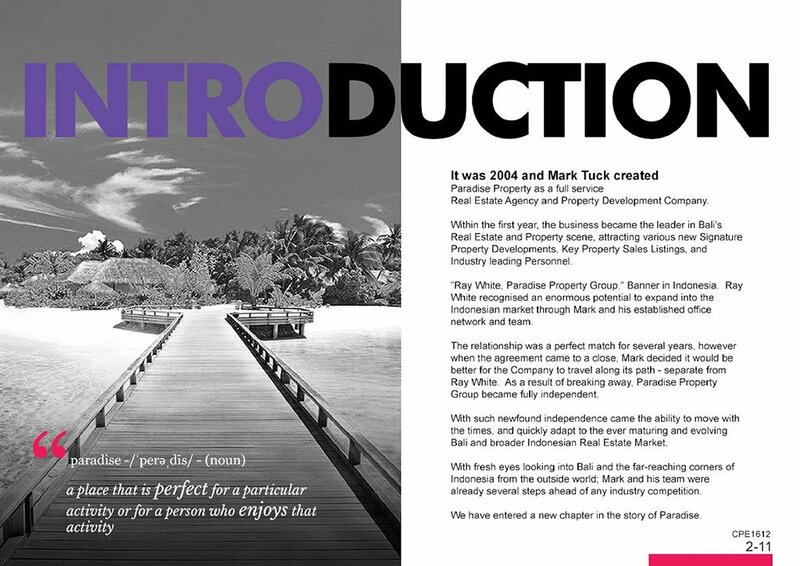 Australia’s largest real estate company, Ray White, saw enormous potential in Paradise Property and invited Mark to join them under the franchise banner of Ray White The Paradise Property Group. 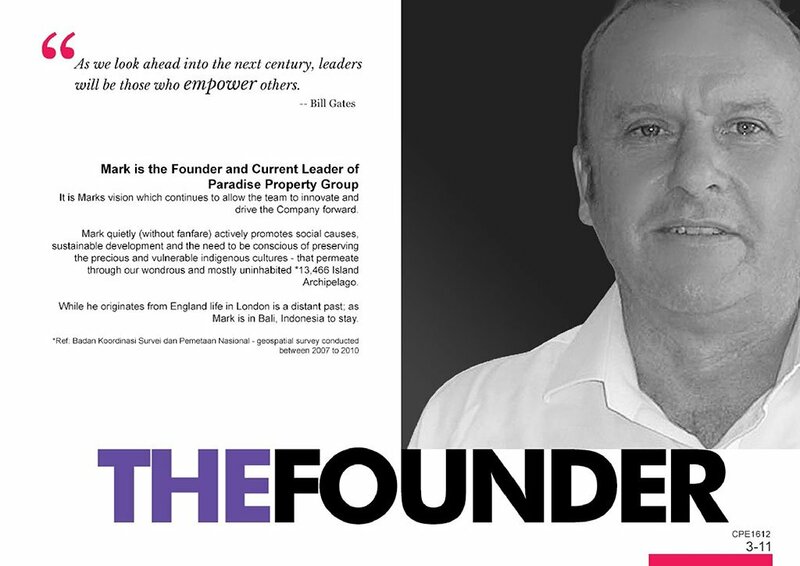 It was the perfect match for five great years but in 2015, the time was right to leave the franchise and return to being an independent player in the property business. 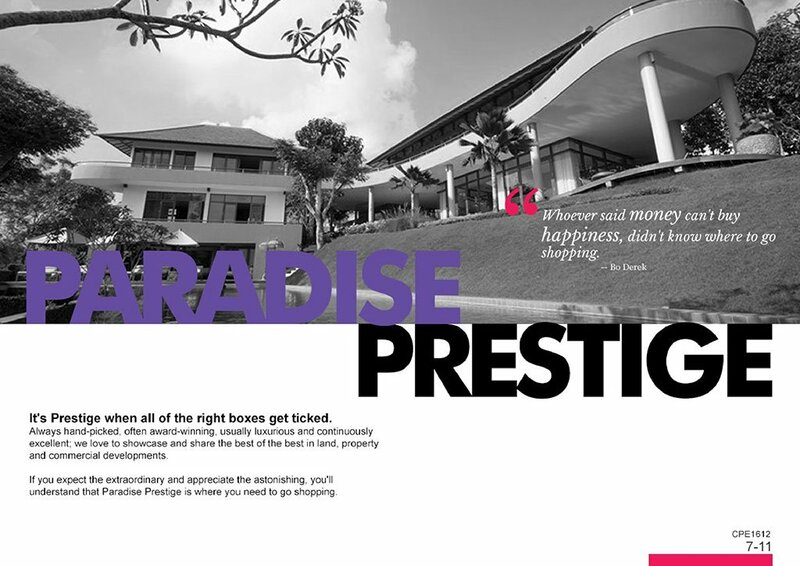 The Paradise Property Group was re-born; bigger, better, stronger than before! Click on the slideshow below to learn more or download in PDF.